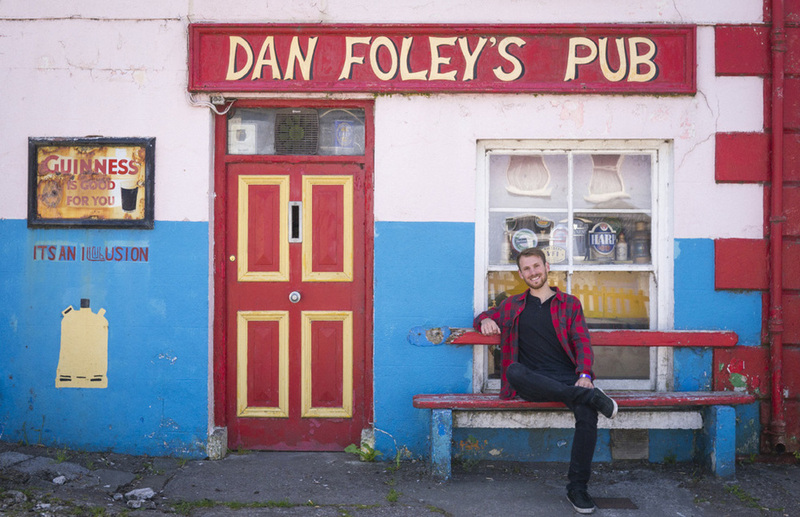 Dan Foleys Pub — WETHEPEOPLE BIKE CO.
Years ago, I learned of a pub in Ireland called “Dan Foley’s Pub.” Naturally, going there and having a pint became a bucket list item. Several weeks ago, I had that opportunity on a family trip. Turns out, the pub has been closed for years and is currently up for sale. The whole having a pint thing wasn’t looking too promising, but we did some research and found out the pub was still standing. Also turns out it was right on the way to our next destination. Convenient. We stopped and got all the typical family photos and a portrait. Since I had left for Ireland straight from X Games, I had my bike packed up with me. Due to this, we decided that a riding photo was also in order. I pulled my bike out of the bag and started throwing it together. I got the bars on the forks, stood my bike up, and then made a disappointing realization; I had let most the air out of my tires to free up some room in my bike bag. Not wanting to waste everyone’s time searching for a pump, I got on my bike and tried a hop bar. It worked! If a hop bar worked, a hop whip should also work, right? I’d compare trying to get good pop with around 15 psi to bunny hopping off a waterbed. It wasn’t an easy task, but several whips came around and my sister, Jillian, nailed the shot. My rims were still round too, even after being plowed into the ground repeatedly.